After a 22 year wait, the Toronto Blue Jays return to the baseball post-season has ignited baseball fans across Canada, a group that includes many NHLPA members. When the Jays clinched the American League East division title last week, the victory prompted several NHL players to get into the swing of things, so to speak, via Twitter, as they posted congratulatory messages to the Toronto Blue Jays. Thanks to a resounding 15-2 win in the first game of a doubleheader against the Baltimore Orioles on September 30th, Toronto clinched the American League East divisional crown and a spot in this year’s playoffs. The Jays hadn’t won a division title since 1993, the year the Major League Baseball club celebrated its’ second straight World Series championship. With the Jays being the only Major League Baseball team in the entire country of Canada, it is no doubt that the level of support they receive seems significantly more wide-spread than most other MLB teams. The teams’ success has brought out the fan in a number of NHL players, including Florida Panthers forward Dave Bolland (@DaveBolland), who texted NHLPA.com the morning after the victory. Congrats to the Blue Jays..
Jamie McGinn (@JamieMcGinn88) of the Buffalo Sabres also took to social media to give a shout out to the team and sent a congratulatory text via NHLPA.com. He was far from the only player to show their love for the Blue Jays. Wilson, who plays for the Washington Capitals, showed his true colours in a quick video that he posted on Twitter. 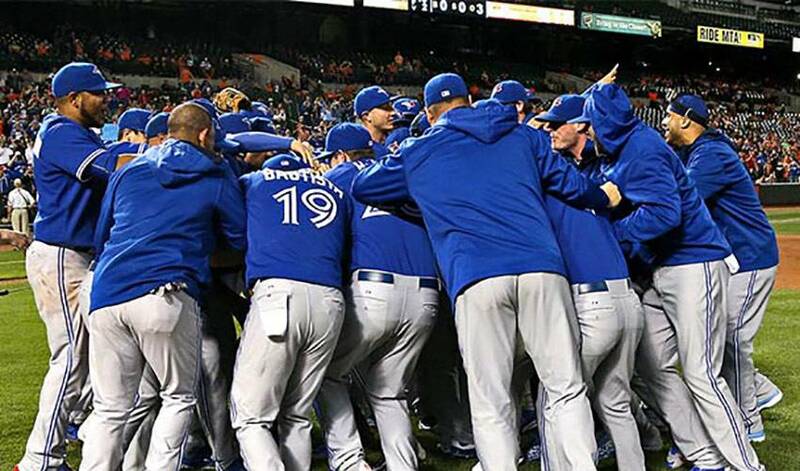 With Blue Jays fever gripping Canada from coast to coast, plenty of hockey players will be tracking the team on its’ World Series quest. Who’ll come up with home run Twitter messages? You can bet that the support from NHLPA members and all fans will only continue to grow as the post-season rolls on. Keep your bases covered by viewing Player tweets on NHLPA.com. NHLPA.com's Ryan Parker contributed to this article.